The key to pulling off a superb garden design is going back to the basics—revisiting principles. One thing you shouldn’t ever miss is the concept of balance. Balance is the principle of distributing the visual weight of design elements evenly to achieve a sense of equilibrium. It’s aesthetically pleasing precisely because it brings order to the space. How exactly do you reflect this in your garden design? Here are the types of balance you can play with as you plan the look of your outdoor space. You can achieve this kind of balance by arranging the same design elements on either side of the center. There are lots of examples of this inside your home: the bookshelves placed on each side of the fireplace, the coffee table in the middle of two couches facing each other, your bed in between two accent tables. In the case of your outdoor space, you can follow the likes of English gardens, wherein hedges of equal lengths line up paths or potted plants run along either side of a boxed pond. You can also easily achieve symmetrical balance with your dividers, like gates or pergolas sandwiched between aluminum fences or brick walls. The only thing you have to remember here is to mirror elements on each side of a focal point. In this kind of balance, the design features aren’t identical, but they have similar visual weight spread evenly on either side of the center. The perfect example here is the Japanese garden. It may seem like the plants, trees, stones and paths are randomly arranged, but when you look closely, you still feel a sense of balance and order. The trick to pulling this off is choosing elements that aren’t exactly alike in appearance, but similar in mass and form. 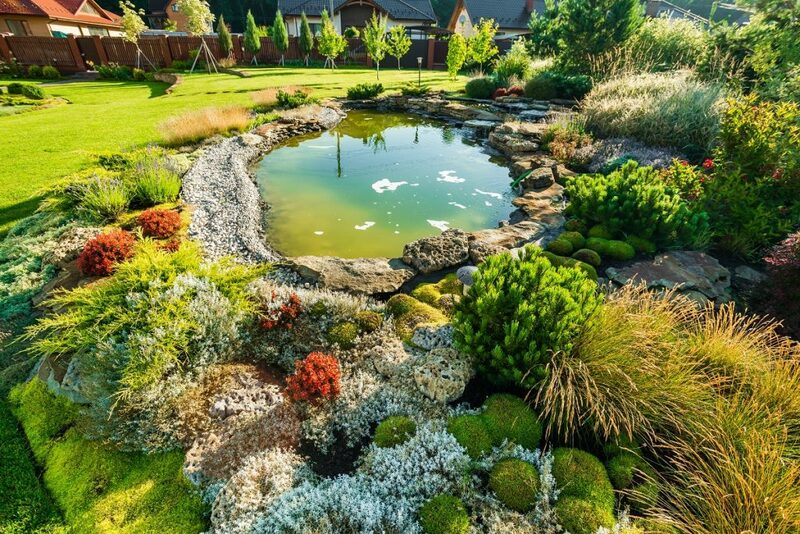 So for example, you have a koi pond as your central axis, you can have round bushes on one side and a group of bonsai on the other. The slight resemblance of these elements can bring out the look and feel of balance in the area. It’s exactly what it sounds like: it’s circular. It involves the distribution of design elements around a central point, radiating from it in different directions. The common example of this inside your home is the tables around your dining table. In the context of garden designs, the best way to achieve this is to place potted plants around our water fountain. Or, if you plan to use your garden as a conversation and entertainment area for guests, you can install a fire pit and place wrought-iron or wooden furniture around it. If you want to draw people’s attention to a certain element in your garden, using radial balance is the best way to do it. 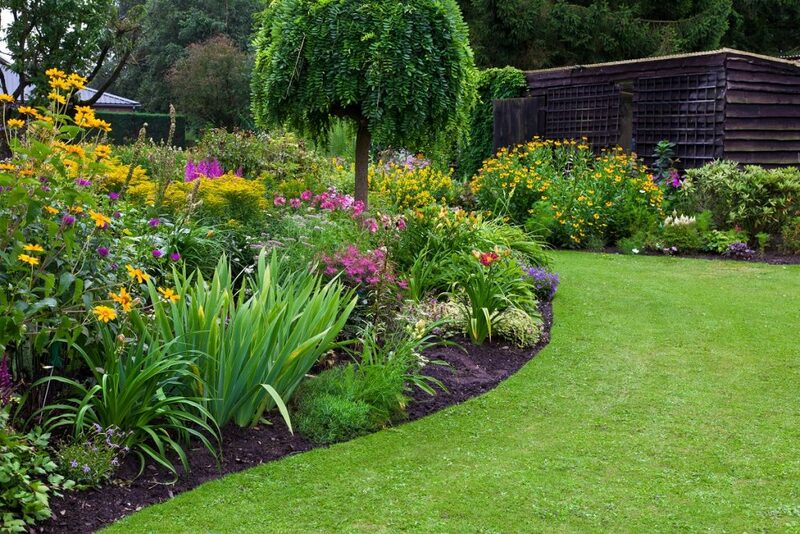 Balance is an important element you can’t afford to overlook in your garden design. Use these different types in your outdoor space so you can achieve visual variety and avoid that monotonous look all throughout.